Atari has announced in a new press release that the Atari VCS hardware platform will have a pre-sale starting on May 30. The console will be available from US$199 during the pre-sale, which is being exclusively held through the crowdfunding website Indiegogo. However, the first actual shipments aren’t expected to start until spring 2019. A press release from Atari has offered up the date of May 30 for the start of pre-sales for the Atari VCS console. Potential buyers will have to go to the Indiegogo website to sign up for a pre-order deal. The press release states that the early-bird Atari VCS package will be available for a price starting from US$199. 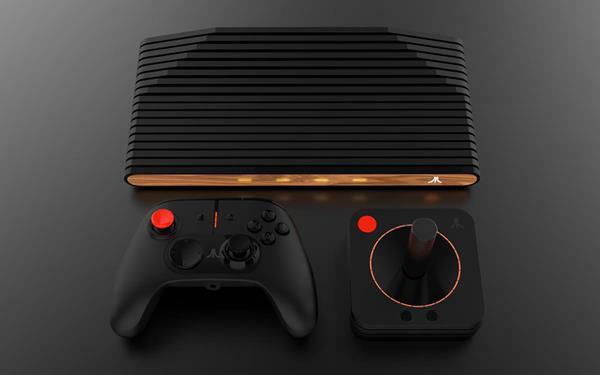 The console apparently comes in two variants: One with the familiar retro-inspired wood trim (the Collector’s Edition) and one with a sleeker black look (Atari VCS Onyx). The Atari VCS platform will offer support for 4K resolution, HDR and 60FPS content, onboard and expandable storage options, dual-band WiFi and Bluetooth 5.0, as well as USB 3.0 support. Although the console has a retro design, it is intended to offer up-to-date functionality in regard to gaming and multimedia entertainment. Naturally, there are plans to include a “vault” containing the classic titles that made Atari’s name in the game industry. NEW YORK, April 30, 2018 (GLOBE NEWSWIRE) -- Atari® — One of the world's most iconic consumer brands and interactive entertainment producers — today announces that pre-sales of its new Atari VCS™ hardware platform will start May 30, 2018. The pre-sale is exclusive to Indiegogo and features the time-limited Atari VCS Collector's Edition featuring the special retro-inspired wood-front. 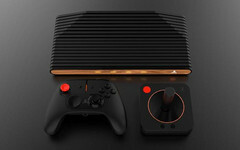 In addition to the Collector's Edition, fans will have the option to pre-order the Atari VCS Onyx, a sleek black version. Early-bird Atari VCS packages will be offered, including the Onyx starting at $199 USD for a limited period of time. Other packages will include the Classic Joystick and Modern Controller. Initial Atari VCS shipments are planned for Spring 2019. Fans who have signed up for "insider" email alerts at AtariVCS.com before May 24, 2018 will be eligible for special purchase incentives during the pre-sale. Atari appreciates the community's intense curiosity about VCS games and content, hardware specifications, production timelines and other key information, and is confident that it is putting the right pieces in place for a successful product and launch. All Atari VCS branding and communications channels now reflect the product's official name. Fans can follow Atari VCS on Facebook, Twitter @TheAtari_VCS and Instagram. Atari VCS photos and logos can be accessed here: uberstrategist.link/ATARIVCS-PressKit.